Disclaimer: *Listed price does not include tax and licensing fees. Rate may change depending on term, amount borrowed and year of vehicle purchased. See dealer for more details. For over 33 years Georgetown Honda has been a leading Honda dealership serving Halton Hills, Georgetown and surrounding areas. 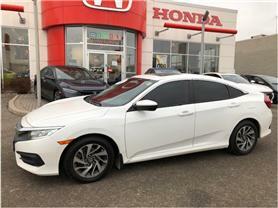 What separates Georgetown Honda is that we put our customers FIRST! From finding you your perfect Honda to performing top-notch maintenance on your vehicle, we are proud to assist you in all of your automotive needs. Are you looking to upgrade your current vehicle? Want to trade up from what you drive now? Value your trade today! Want to get in a new vehicle? At Georgetown Honda, you can trade in your current car and we make it easy for you to get a brand new vehicle for the same or a lower payment than you are paying now. Have a leased or financed car? Let us make your final payments on any make, model or year. Don't wait for your car to lose value! Fill out the form, tell us which new car you want to drive off our lot, and we will give you a quote today. 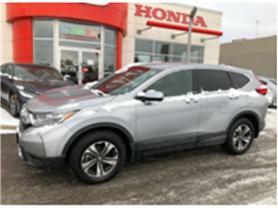 Visit Honda Canada to check if your Honda has any outstanding recall or product update notices. All that's required is your VIN (Vehicle Identification Number). We will verify what is required for your vehicle and contact you to start the process.